Over the last few years, the leadership world has begun to understand the importance of coaching in the workplace. But what has that really translated to? Some companies went about implementing coaching by bringing in an executive coach to help develop their employees. expensive, the individual training can be a little inconsistent, and it doesn’t effectively implement coaching into the workplace long term. So, although leaders have acknowledged the need for coaching within their organizations, they still aren’t 100% sure how to close the gap. The key lies in turning existing managers into future coaches. And here’s how to get started. If you don’t know what coaching really means to your organization, what’s the point of trying to get into it? That definition comes from Sir John Whitmore, and I think it’s a perfect way to introduce coaching. But that doesn’t mean you can’t alter it to best suit your organization’s goals. “Don’t turn coaching into a big deal.” By that I mean don’t try to create a coaching culture or make it a formal event. Just because the HR industry has touted coaching as one of the best concepts ever in the leadership world, that doesn’t mean it’s a fix-all for your organization. True, successful coaching can improve the workplace in many ways, but that doesn’t mean it will immediately drive change and fix all the obstacles you’re tackling. And that’s where trying too hard to make it part of your organization’s culture can get you into trouble. Coaching is a tool that works best when it’s targeted toward one specific objective. So instead of focusing on implementing a coaching culture, focus on that specific objective. Are you looking to increase customer retention? To better track website metrics? To improve operations budgets and procedures? If you don’t outline exactly why you’re looking to implement coaching in the workplace, the whole concept of it may come across a little too vague and distanced from the busyness of the everyday workflow. Managers are busy enough as it is without having to feel like they’re going to be forced to learn a new skill. They need to understand a connection — that is, what’s in it for them? In order to bridge the gap and successfully implement coaching into their lives, they need to understand that, when done right, coaching can reduce their workload, make their teams less dependent and make their employees more accountable. Once managers understand this, why wouldn’t they be more open to learning how to become more coach-like? My experience these days, working with busy managers around the world, tells me that managers are stretched more thinly than ever. We thought we were busy in the year 2000, but that was nothing compared with today’s hyper-connected digital world. So why would a manager want to take on the added task of coaching employees? Well, we’ve already settled that it will help alleviate some of their stress by encouraging their employees to be more autonomous. And I think it’s safe to say that a reduction in workload is a good reason to get started. But what’s important to explain to your managers is that coaching doesn’t have to take more time, it doesn’t have to be an added task to a seemingly never-ending to-do list. Instead, it can be something done in passing, nothing more than a daily interaction that’s as easy as catching up by the water cooler. Managers don’t need to become coaches; they simply need to become more coach-like. And the way to do that is for them to offer advice a little less often, and ask questions a little more often. Be lazy. Don’t jump in right away to offer advice. Ask something like “How can I help?” This will work in two ways. First, it will force the other person to get clear on what it is they want or need from you. Second, it acts as a self-management tool that will keep you lazy — preventing you from running off to do things you think people want you to do. Be curious. Instead of saying yes all the time or taking over, ask questions. “And what else?” leaves no rock unturned. The first answer someone gives to this question is never the only answer, and rarely is it the best one. There are always more answers to be found and ideas to be generated — and this question will keep you lazy and encourage others to come up with them. So, without coming up with the ideas yourself, and without taking on more work, you’ll get the answers out anyway — by helping your employee learn along the way. Be often. Don’t set time aside to coach; rather, turn everyday conversations into insightful moments of coaching. Asking questions like the two noted above won’t take any more time out of your day, but the results will be noticeable. So, instead of thinking of coaching as something else to add to your plate, think of it as an adaptable skill. It’s all about asking the right questions, asking them often and watching your employees learn through your daily conversations. We’re all hardwired to give advice. But promoting a little more curiosity rather than expertise will create perfectly coach-like managers — and that, surely, will help bridge the gap. coaching so that busy managers can build stronger teams and get better results. 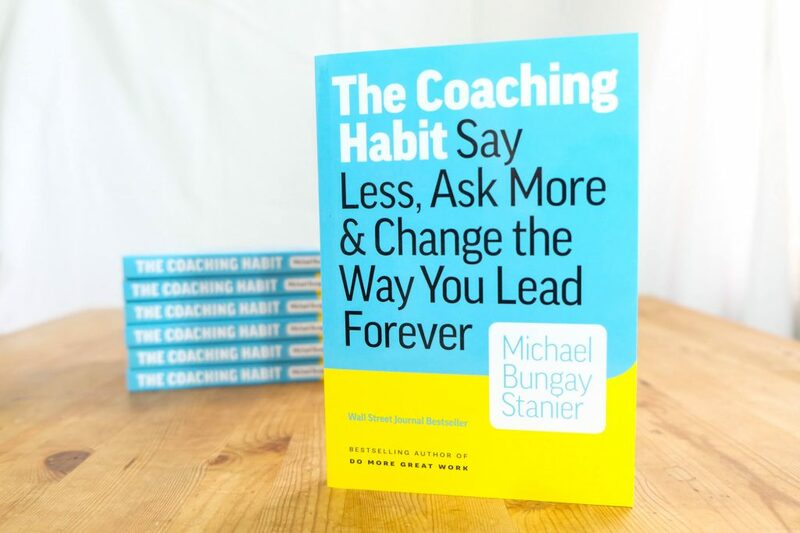 His most recent book, The Coaching Habit, has sold a quarter of a million copies. Along with David Creelman and Anna Tavis, Michael recently conducted and released a new piece of research, The Truth & Lies of Performance Management. 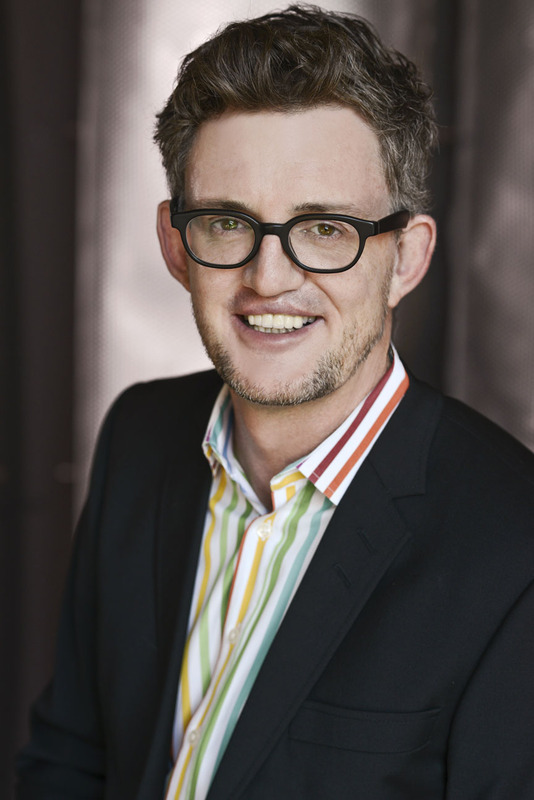 Michael is a Rhodes Scholar and was recently recognized as the #3 Global Guru in coaching. Visit BoxofCrayons.com and http://boxofcrayons.com/pmresearch/ for more information.